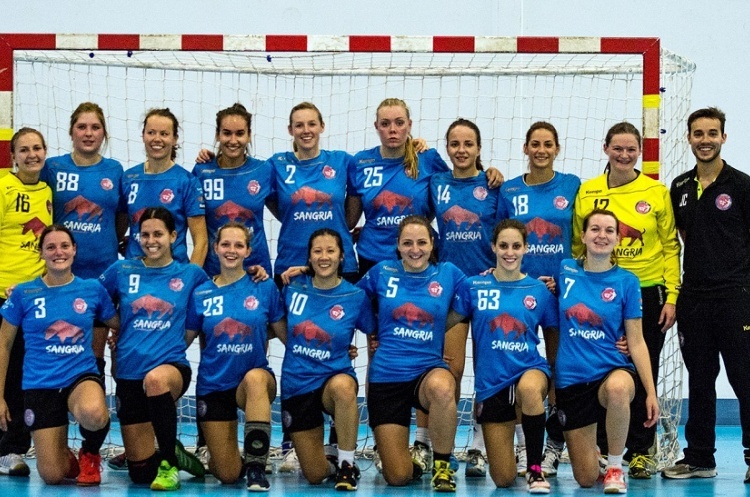 London GD beat NEM Hawks to make it seven-wins-from-seven in the Womens’ Premier Handball League, while Peninsula secured their first win of the season with victory over London Angels. West London Eagles came out on top in a thriller with Cambridge, while Coventry Sharks won against Olympia. Top-of-the-table GD led 16-12 against Hawks at the break in the match at Powerleague Trafford. They extended their lead in the second half to run out 28-22 winners. Hawks drop to third spot in the table on 18 points. West London Eagles are second in the table after edging past Cambridge 22-20 at Barking Sporthouse. Eagles trailed by a single goal at half time with the score standing at 10-11. A nailbiting second half saw them overhaul Cambridge to take maximum points. Cambridge’s Grete Morkenvaite top-scored in the match with 10 goals, while Sunniva Ovstebo Naess beat the keeper nine times for Eagles. Eagles climb to second spot, two points behind GD. Cambridge are in sixth on nine points, ahead of Peninsula on goal difference. Peninsula grabbed their first win of the season with a 16-11 success over fellow strugglers London Angels. Jemaine Knott led the scoring charts for Peninsula with six strikes as the promoted side pulled away in the second half after the first period finished 7-6 in their favour. The win sees Peninsula move off the bottom of the table, leapfrogging Angels, who have eight points. Coventry returned to winning ways after losing two successive matches with a 24-19 victory over Olympia. Sharks led 10-8 at half time, extending their lead in the second period. Aija Gremzde struck eight times for Sharks, while Olympia’s Amelia Neacsu also beat the keeper eight times. Sharks move into fourth spot on 12 points, ahead of Olympia on goal difference.